Splashbacks in Bonethane Premium. Kitchen and Luxury Bathroom Wall Panelling. Any Colour or DigitalArt Printed Image Splashbacks. Click here Bonethane Premium VS DIY Acrylic Splashbacks. 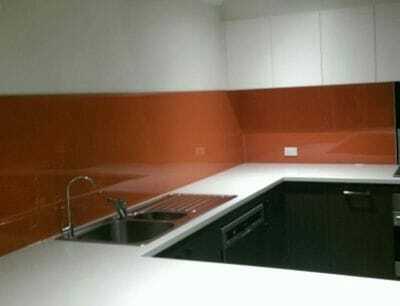 ISPS Innovations supply Bonethane Kitchen Polymer Splashbacks , IPA Acrylic Splashbacks and Bathroom Shower Acrylic Wall Panles Benchtops that are custom made & distributed to Melbourne and Victoria, Adelaide and South Australia, Sydney and NSW, Brisbane and Qld, Northern Territory,Darwin and Alice Springs, Perth and Western Australia, Tasmania and Hobart. Nation wide Service like no other. 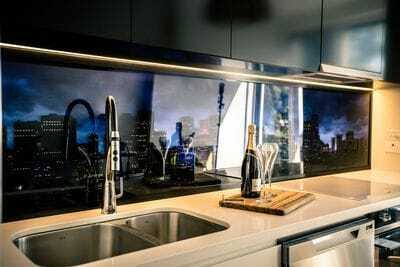 Why choose Bonethane Splashbacks over DIY Acrylic Splashbacks? Firstly next to Glass, its the builders preffered choice and here is why. Greater heat distribution and electrical resistance. Custom VetroPoly toughened glass insert in 6mm thickness available in any size for gas burners in silver or can be colour toned to blend or choose contrast colour with Bonethane & Acrylic grades. Please note custom Bonethane and IPA Acrylic Splashbacks are no longer available through Bunnings Hardware chains, you can know purchase our total splashback and benchtop range form our on-line shop with direct delivery to you nationally.